The Wilkadene Brewery in Paringa (near Renmark) is in an historic 100 year-old shearing shed. The stunning riverfront location is a great place to kick back and enjoy a boutique beer or cider. Head west and stop in at Ruston’s Rose Garden and Visitor Centre – the largest rose garden in Australia. The rose garden covers 26 acres and features more than 50,000 roses from almost 4,000 varieties. The café and gift shop are open daily. Travel west on the Sturt Highway to Monash Adventure Park – a guaranteed hit with kids. There are crazy leaning towers, a Burmese rope bridge, swings and huge slippery dip. Nearby Bella Lavender Estate is a fragrant experience. All their lavender products are locally made and make great gifts. Ten minutes from here is 919 Wines, which specialises in heritage fortified wines. They also make alternative varieties like Tempranillo, Sangiovese and Durif and visitors are welcome at their cellar door, near Glossop. You will think you have been transported back to the late 1890s when you visit The Village, historic Loxton. 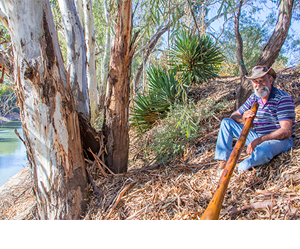 It’s great family fun with more than 45 buildings and sites depicting the early way of life for Riverland settlers. Then head north-west on Kingston-Loxton Road to the Cobdogla Irrigation and Steam Museum. It was originally built as a pumping station for the district’s vineyards, but is now an educational experience. Check with the Barmera Visitor Information Centre to see when the pump is operating. 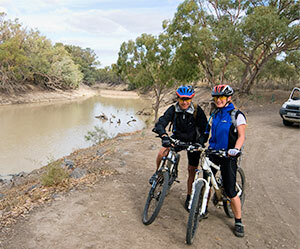 There’s a lot to do for the active traveller – make the most of canoe trails, bike trails and walking trails. If you would rather indulge, head west from Loxton to Banrock Station Wine and Wetland Centre. There are scenic walking trails around the wetlands, and outstanding lunches are served inside or on the stunning deck, along with Banrock Station wine. The Historic Overland Corner Hotel in Overland Corner was built in 1859. It has the biggest beer garden in the Riverland and offers lunch and dinner, but bookings are essential. Havenhand Chocolates in Waikerie combines top quality Riverland fruit with delicious Belgian chocolate. If you visit when the chocolatier is working you can watch through a viewing window, and their Chocolate Cafe serves all kinds of chocolate treats as well as light meals. Next, head west to Cadell and the Caudo Vineyard cellar door, only metres from the Murray River. It’s a great spot to enjoy some wine, but bookings are essential so please call ahead. Continue west to Morgan, which was once the second biggest port in South Australia. It’s now a popular holiday retreat and the Morgan Museum charts early life in the area. Almost three hours south of Morgan, Big Bend is the longest bend in the Murray River and is known for its spectacular riverside cliffs. Big Bend By Night run tours that give you a good look at the nocturnal wildlife and amazing scenery. Walker Flat, south of Swan Reach, is another spectacular spot along the river with tall, ochre-coloured cliffs and a superb lookout. 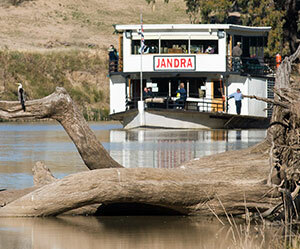 In Mannum on Mondays and Fridays you can join the Proud Mary lunch cruise. Enjoy lunch and cruise past small river townships, shack settlements and wildlife. Bookings essential. Also in Mannum, the PS Marion is a restored heritage vessel from the golden years of riverboats. The boat takes short cruises, and when it’s moored it forms part of the Mannum Dock Museum, open seven days. 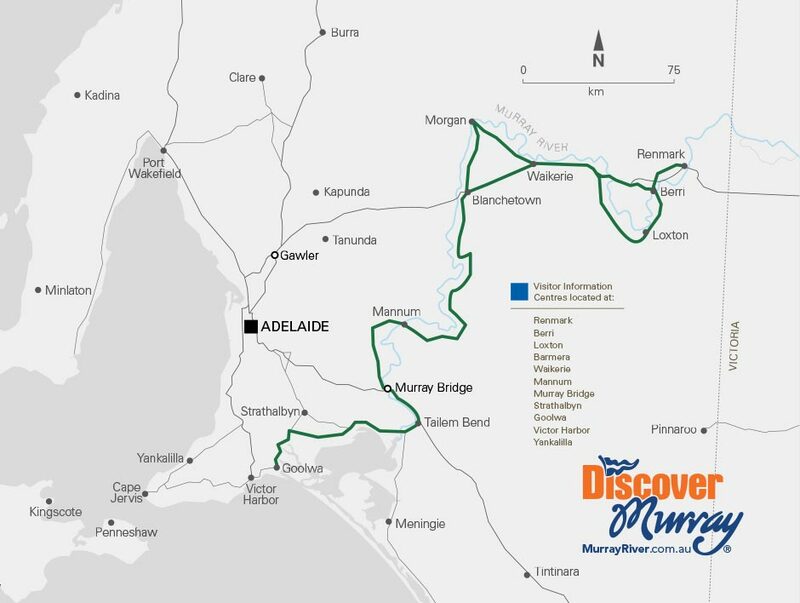 Continue south to Murray Bridge and onto Monarto Zoo, the largest open range zoo in Australia. 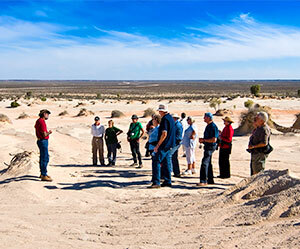 It is the home of South Australia’s first ever Southern White rhinoceros and Australia’s largest giraffe herd. The Zu-loop shuttle bus around the zoo departs regularly. Keep travelling south to Langhorne Creek, a wine region known for its outstanding reds, but you will also find fantastic crisp white wines. Wineries to watch out for include Angas Plains Estate, Bleasdale Vineyards, Bremerton Wines and Cleggett Wines. Historic Goolwa is at the mouth of the Murray River on Lake Alexandrina. Spirit of Australia depart from here and cruise to the Murray Mouth, or across the Murray Mouth and into the Coorong National Park, depending on which tour you choose. Canoe the Coorong is also based in Goolwa and offers all inclusive, guided kayak tours of the Coorong, Murray Mouth and Goolwa area. A great experience that takes you into a special natural environment. Over the bridge and onto Hindmarsh Island, kids love Narnu Farm where they can help feed animals and hand milk the cows. Horse riding is also available. From Goolwa you can head up to Adelaide via McLaren Vale or travel across to Kangaroo Island – Australia’s ‘zoo without fences’.